3/4" Round. Waterproof mini trailer light functions as both a clearance light and a side marker light when properly mounted. 2 Amber LEDs create a smooth, bright circle of light. Recessed mount with included grommet. 2-Wire pigtail. PC rated. Lowest Prices for the best trailer lights from Optronics. GloLight Uni-Lite LED Clearance and Side Marker Light - Submersible - 2 Diodes - Round - Amber Lens part number MCL110AKB can be ordered online at etrailer.com or call 800-298-8924 for expert service. The waterproof construction of this light makes it ideal for use on trailers that may be submerged, like a boat trailer. The circuit board is sealed, which means that water will not damage the diodes or circuit board. A PC-rated light produces a 90-degree angle of light to either side of its centerline for a total of 180 degrees of coverage. This beam pattern can be clearly seen when you are standing directly in front of the light, as well as when you are standing on either side of the light. When properly installed, this type of light can function as both a front clearance light and a side marker light or as a rear clearance light and a side marker light. 3/4" Round. Mini trailer light serves as either a side marker light or a clearance light. Amber lens with amber LED. Recessed mount with included black grommet. 2-Wire pigtail. P2 rated. 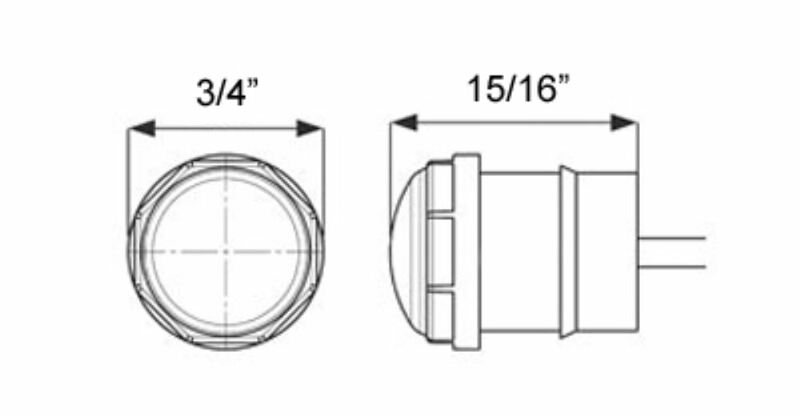 2-1/2" x 1-3/16". Waterproof mini trailer light functions as a clearance light or side marker light when properly mounted. Durable polycarbonate lens. Surface mount with self-grounding bracket and hardware. 1-Wire design. P2 rated. Today we're going to be taking a look at the Aramis 00:00:04 Glow Light LED Amber Clearance and Side inaudible 00:00:07 light. 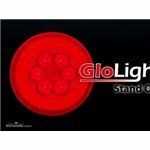 The small round trailer light can function as both a clearance side and side marker light when properly mounted. It's going to feature a sealed waterproof housing. It is submersible and this is a LED system. LEDs going to make great replacements for incandescent lights. They're going to last longer, burn brighter, and they're much more efficient. You don't have to worry about replacing bulbs and you don't have to worry about brittle filaments. Aramis is actually going to put a lifetime warranty on the leds. It's going to contain 2 diodes or 2 LEDs. We're looking at a poly carbonate amber lens. 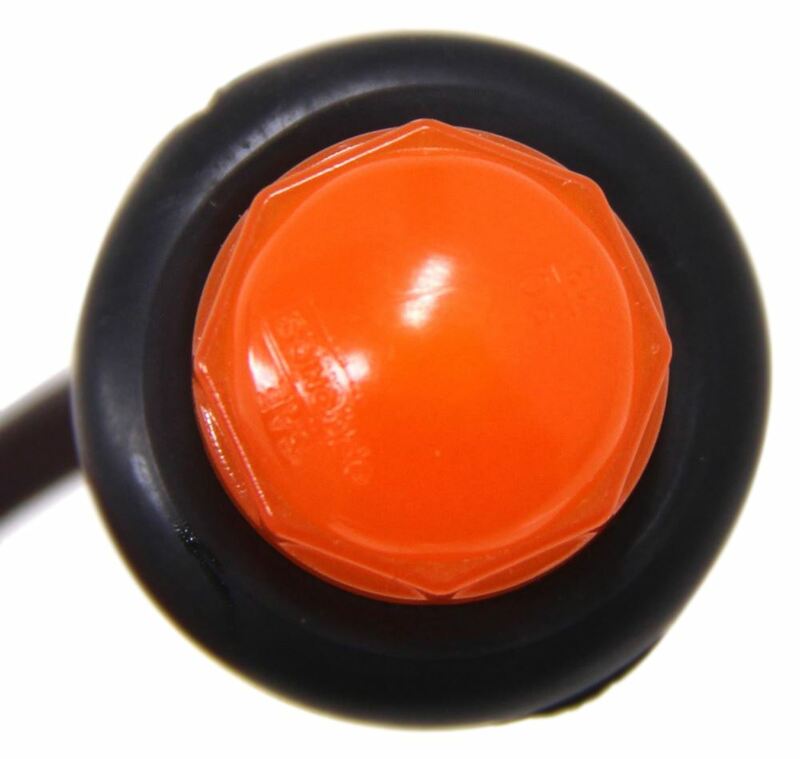 It's designed to be a recessed mount with the included black PVC grommet. 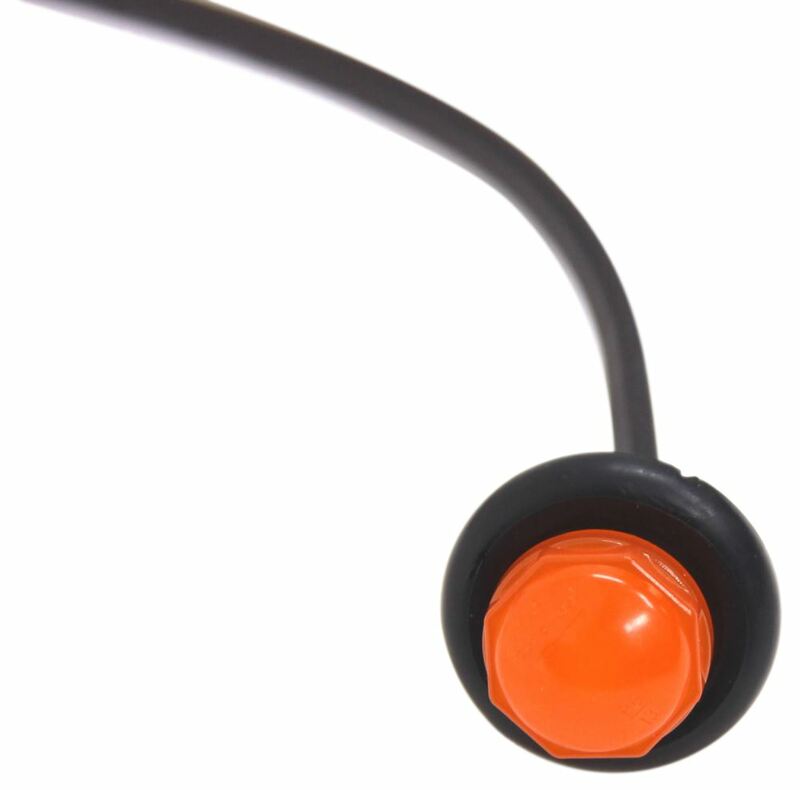 The installation does require a 3/4-inch diameter hole at the desired mounting location. It's a 2-wire design so it's going to provide your white wire which is going to be your ground wire and your black wire which is your power wire. The unit's Department of Transportation compliant and this is a PC-rated light. The diameter's going to be 3/4 of an inch. Again, it's going to contain 2 diodes. The power draw 12.8 volts is 0.052 amps. Now we want to go ahead and hook it up to our external power supply, that way you can see what it looks like with power running to it. We'll also be able to turn off our overhead lights so you can see it in a low light setting. Here you can see the light sends out a really nice consistent signal. Again it's got 2 LEDs in there so the multi-diode design is really going to do a great job at providing more light output. That's going to do it for today's look at the Aramis Glow Light Amber Clearance and Side marker light. Order: RelevanceNewestRating - High to LowRating - Low to High 3/4" Round. Waterproof mini trailer light functions as both a clearance light and a side marker light when properly mounted. 2 Amber LEDs create a smooth, bright circle of light. Recessed mount with included grommet. 2-Wire pigtail. PC rated. I still am impressed as to how noticeable they are at night. No I never regretted purchasing those lights, easy install, work great. And the trailer originally had round tail lights. I have just purchased another set of tail lights from you, just a couple days ago. Again Oval shaped 52 diode LED. These are going on a trailer that I cant find anything about, other than it was manufactured in San Jacinto California in the 1980s. I think these new lights are going to look great on there, I think original was probably an ugly square one. The trailer is a 19 ft. , 1983 Tow Lite fifth wheel single axle. I swear it was built for off road the way it looks, and it looks stock. No problems with product. Would purchase again. Thanks. A no regret purchase. Thank you. Lights are great. Still working and bright.